Emirates Global Aluminium chief executive Abdulla Kalban says he expects fierce Chinese competition to keep a lid on world aluminium prices for the next couple of years. EGA is one of the world’s top 10 aluminium producers but is heavily reliant on export markets to sell its product, where it meets competition from China, which has five companies in the world’s top 10 producers alone, and its total accounts for nearly 60 per cent of world production. 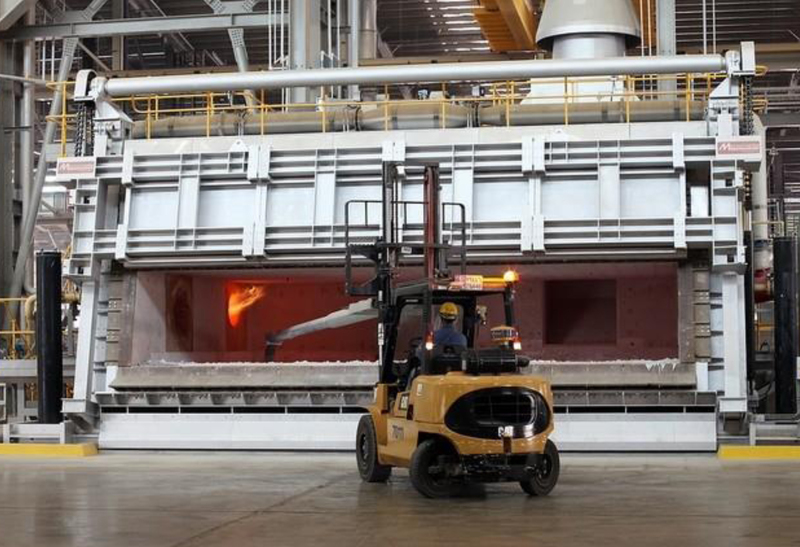 Aluminium producers in the GCC “are trying to mitigate the threat to market share but the Chinese are everywhere, in Europe, Asia, everywhere,” said Mr Kalban. Aluminium prices have recovered some ground since the start of the year, with futures prices on the London Metal Exchange gaining about 10 per cent to about US$1,620 per tonne. But despite fairly steady increases in aluminium demand worldwide, supply additions have run ahead of demand and resulted in chronic oversupply. That has been exacerbated by a slowing in demand growth, especially in China. The next largest producing region was the GCC, with output of 426,000 tonnes, 70 to 80 per cent of which must find a market outside the region, according to Mohammed Al Naki, the chairman of Arab International Aluminium Conference (Arabal), which will meet next month in Dubai for its annual gathering. “It is not only GCC producers suffering from China; Europe and others are suffering from China too,” Mr Al Naki said. The Middle East region has been one of the fastest growing markets for aluminium demand, but capacity additions have grown substantially since the world financial crisis: from 2.24 million tonnes per annum (tpa) in 2008 – or about 6 per cent of world capacity – to 5.59 million tpa last year, or about 10 per cent of world capacity. There is strong demand from construction and transport sectors, but the region needs to build capacity downstream in areas like tyre and other automobile parts manufacturing to secure more of the GCC final demand market, Mr Al Naki said. The world aluminium industry has been consolidating in recent years in response to the rise of Chinese producers, which includes top 10 producers Chalco, Hongqiao, CPI, Xinfa and East Hope. That included the US$38 billion merger in 2007 of Rio Tinto and Alcan of Canada, and the creation three years ago of EGA from the $15bn merger of Dubal and Emal. The world’s largest single producer, Rusal of Russia, benefits from being fully vertically integrated, with both bauxite and cheap energy within its borders. Mr Kalban said EGA is pursuing its own vertical integration strategy, with a $3bn alumina refinery at Al Taweelah, Abu Dhabi, due for completion in early 2018 (originally scheduled for the end of next year). EGA owns bauxite producer Guinea Alumina Corp and a 45 per cent stake in bauxite miner Cameroon Alumina. In June, EGA approved a project to develop an initial 12 million tpa bauxite mine in Guinea, which will include construction of an export terminal at Port of Kamsar and rail infrastructure upgrades, with the first production due in 2018.